After a blistering summer at gritcx HQ, normal service has resumed and the tail end of Storm Ali is doing her best to dampen spirits and return dusty trails to slop. It was with a mixture of interest and envy that we received an email from Jamie, who runs Cape Vélo, a Stellenbosch-based cycle tour company in South Africa. I’ll be honest – I don’t know a huge amount about riding in South Africa, other than the Cape Epic mountain bike race, and the few UCI mountain bike races that have been held there. Apparently, though the country is ripe to become the “next big thing” in gravel. As you might expect, Cape Vélo is keen to promote its guided tours and rentals, but founder Jamie Osman was keen to tell us a little more about what makes the country so good for riding, and suggested a few routes and events for those more independent minded. In his words, “South Africa’s existing gravel road network and tourism infrastructure makes it a stellar destination for cyclists seeking sunshine, great food and wine, spectacular scenery and grit”. In terms of land area, South Africa is five times the size of the United Kingdom, but has only 85% of the UK’s population. Its network of gravel roads is extensive, constituting a formal estimate of 750,000 km or 466,000 miles. Some of these are hidden or forgotten back roads that offer an up-close-and-personal encounter with each region’s indigenous vegetation and wildlife while boasting impressive mountainous and coastal landscapes. While the possibilities for gravel riding in South Africa are literally endless, here are a few of Cape Vélo’s favourites in the Western Cape. The Swartberg (black mountain in Afrikaans) Pass is located within the greater Swartberg Mountain Range that runs along the edge of a semi-arid region called the Little Karoo. 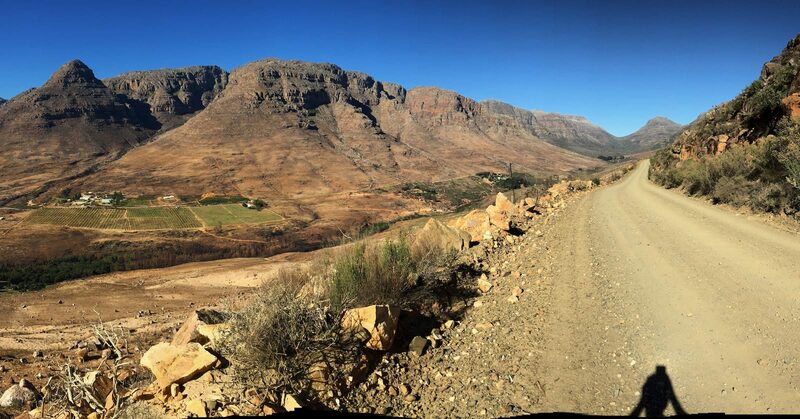 The winding 27km gravel pass weaves up to a summit of 1,538m above sea level, offering jaw-dropping views at every turn and a host of challenging zig-zag bends. Considered one of the most spectacular mountain passes in the world, it has been declared a UNESCO World Heritage Site. Along the way, cyclists may see relics of an old prison, toll hut and other historical sites. Around 300km north of Cape Town lies the Cedarberg Mountain Range and Nature Reserve, best known for its dramatic rock formations and ancient San rock paintings. 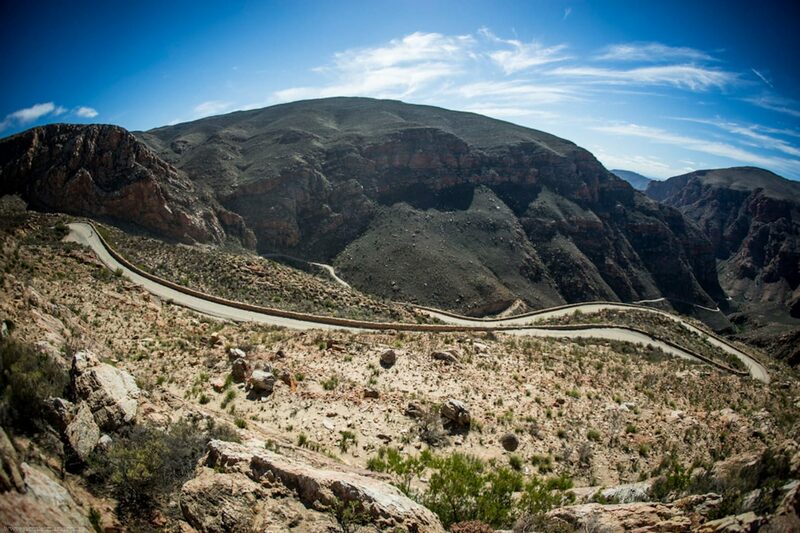 A circular route of approximately 250km on gravel will see cyclists ascend to 3,500m in a challenging series of remote mountain passes, giving you a chance to spot local wildlife including baboons and smaller antelope. The Cedarberg is also home to one of Africa’s Big Five, the leopard, although seldom spotted due to its nocturnal tendencies and shyness. In the months of August and September, you can expect to be greeted by a brightly coloured carpet of wild spring flowers covering sections of normally arid landscape. If you want to start planning your next big cycling trip down South, there are a few ways to go about it. Despite what you may have heard regarding crime rates in South Africa, it is not uncommon for visitors to explore its countryside alone, by car, public transport or in the saddle. The Cape Cross Cycle Route is an initiative created by the Western Cape Government, providing cyclists with a multitude of information and free downloadable maps for two predominantly gravel routes in the province. The primary route stretches over 700kms between Stellenbosch in the Cape Winelands to the popular beach town of Plettenberg Bay, at the epicentre of the Garden Route. 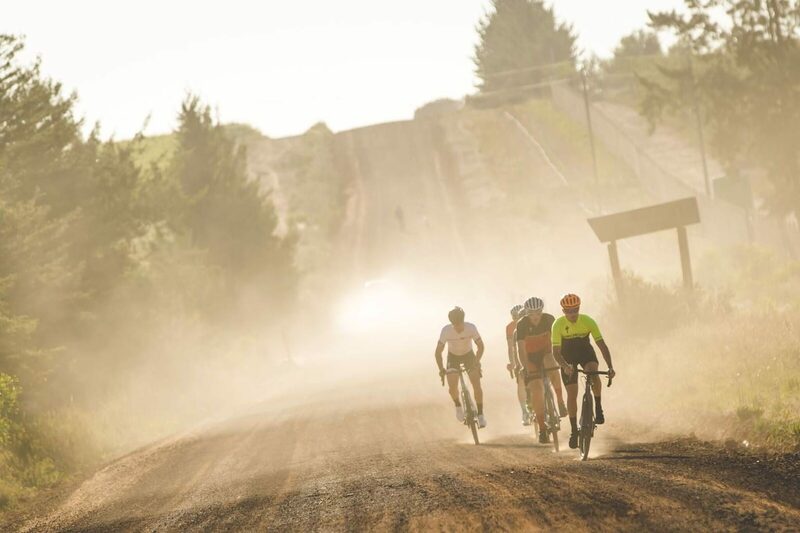 There are currently four epic South African gravel events in the annual cycling calendar. 1. Rainmaker Rollercoaster: 6-12 October 2018, hosted by London-based cycling event specialist Hot Chillee. Comprises 500km with 8,000m of climbing, in teams of two. 2. Tour de Braai: 4-10 November 2018, hosted by South African celebrity Jan Braai. Approximately 450km with over 3,000m of climbing, in teams of two. 3. Swartberg 100: 27 April 2019, an African Gran Fondo, organised by South African-based MTB Africa. Comprises 170km with 3,000m of climbing. 4. Karoo GravelGrinder: 1-3 May 2019, hosted by MTB Africa. Comprises 180km with 2,500m climbing. If you’d prefer to choose your route and be shown the way, Cape Vélo offers customised cycling day tours and holidays within the Western Cape. 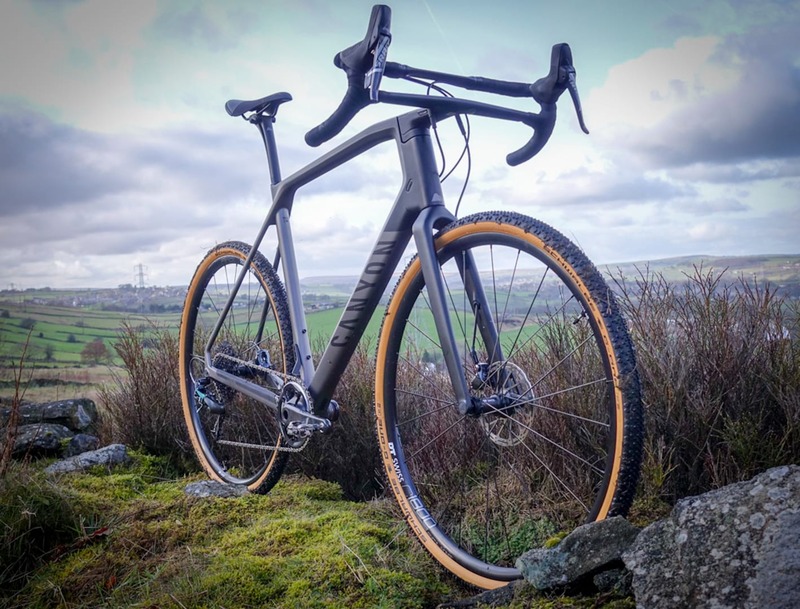 Using a fleet of the latest Specialized Diverge Carbon Comp bicycles, gravel guests are accompanied by an accredited guide with local knowledge and expertise. For longer, point-to-point routes, cyclists are also supported by a back-up vehicle and driver, who ensures maximum road safety and transports luggage, additional water supplies and energy snacks. To find out more about MTB, road or gravel tours, contact info@capevelo.com or visit www.capevelo.com. Greyton (about 100 miles east of Capetown) is at the centre of a network of gravel roads & not-too-technical MTB trails. It’s a pretty village on the edge of the Riviersonderend (river without end) mountains, with loads of accommodation & restaurants. I’ve used it as a training base before riding the Capetown Cycle Tour (aka the Cape Argus, Capetown’s equivalent of the RideLondon 100 only with much better scenery). There’s an MTB race the week before the Argus as part of the Capetown cycling week. 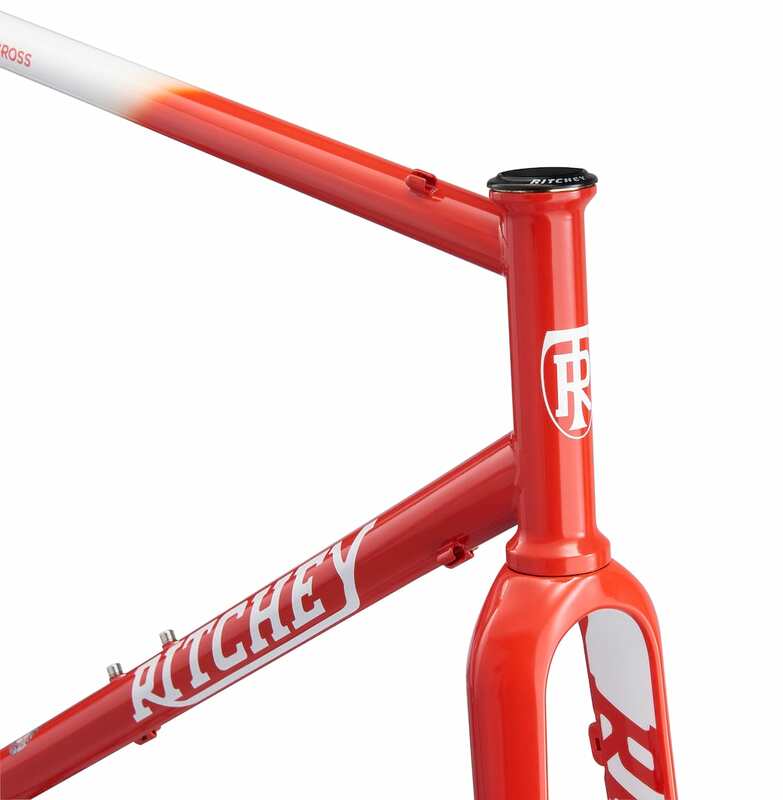 When I go I take a straight-bar, but otherwise standard, CX bike (Condor Terra-X frame with mix of 105 & SRAM Apex-1 bits) & 2 wheelsets, 1 fitted with CX’ish tyres & the other road slicks. That covers most things, including the MTB trails provided I avoid the temptation to go too fast. & then I have a ball!